In 2017, TechnoServe worked alongside enterprising farmers, entrepreneurs, partners, and supporters to create prosperous businesses and markets systems with the power to lift communities out of poverty. As we continued in our goal to be the most effective catalyst for market-based solutions to poverty, we leveraged new innovations and learnings to ensure that our work in 2017 improved as many livelihoods as we can for present and future generations. 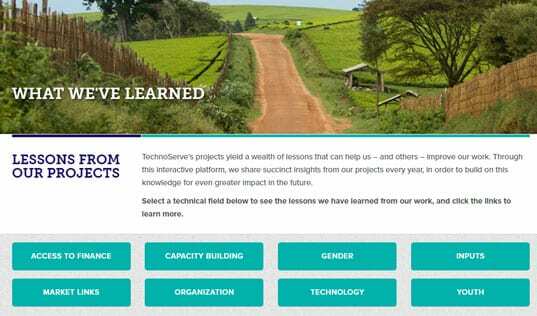 Here we revisit some of TechnoServe’s proudest moments from the past 12 months, incuding our work to transform livelihoods along value chains, partner with corporations to create shared value, advance sector-wide knowledge sharing, catalyze entrepreneurship for stronger economies, and create business solutions to boost food security. In Honduras, TechnoServe completed the Mejoramiento Agrícola Sostenible (MAS) program in partnership with the U.S. Department of Agriculture (USDA). MAS helped more than 32,000 small-scale coffee and bean farmers to increase their yields by 54 percent, substantially increasing their incomes. Of the participating coffee farmers, 7,000 are now marketing their coffee with a cupping grade of 80 percent or more on the SCAA scale. In fact, MAS participant Oscar Ramirez won the 2017 Cup of Excellence Competition, and the project itself was awarded TechnoServe’s 2017 John B. Caron Award for greatest impact. 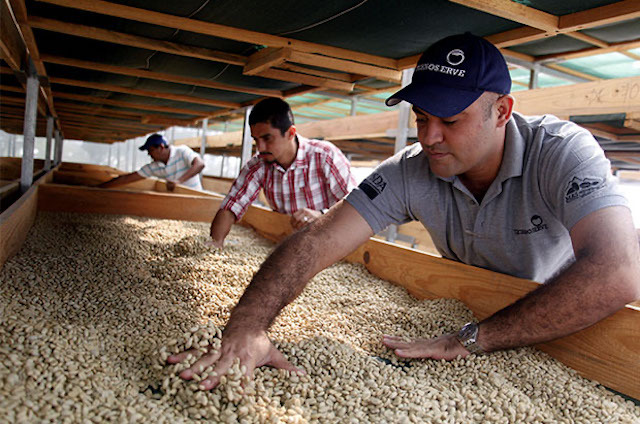 In 2018 the USDA and TechnoServe will partner to further these successes through the expanded MAS+ program, which aims to improve the coffee and bean livelihoods of an additional 70,000 farmers in Honduras. The TechnoServe team in Côte d’Ivoire closed the Coop Academy program, which worked in partnership with Cargill and the International Finance Corporation to support the development of a sustainable cocoa sector in the country by providing training and management support to cocoa cooperative leaders. 2017 marked a banner year for TechnoServe’s work in the cashew value chain. The Mozacajú project closed this year in Mozambique after helping to put the nation on the map as a leading cashew exporter. Through the program’s efforts to establish and provide technical support to small cashew processing plants, Mozambique went from processing zero cashew in 2002 to becoming one of the largest processors in the world. Meanwhile in Benin, a new project grew to scale based off of learnings from Mozacajú. Only one year after its launch, the Benincajù project has trained nearly 10,000 cashew farmers in good agricultural practices and provided business and operational training to more than 600 staff at cashew processors. Read how Benincajù is also creating a new value chain for the nutritious cashew apple, a product often left as waste on the farm. Nespresso's AAA Sustainable Quality Program, implemented by TechnoServe in East Africa, was named the "Best Economic Empowerment Program" in the 2017 Corporate Citizenship Awards. Since 2013 the program has trained over 30,000 coffee farmers – 38 percent of whom are women – to improve their coffee yields, quality, and incomes through the two-year AAA Academy. 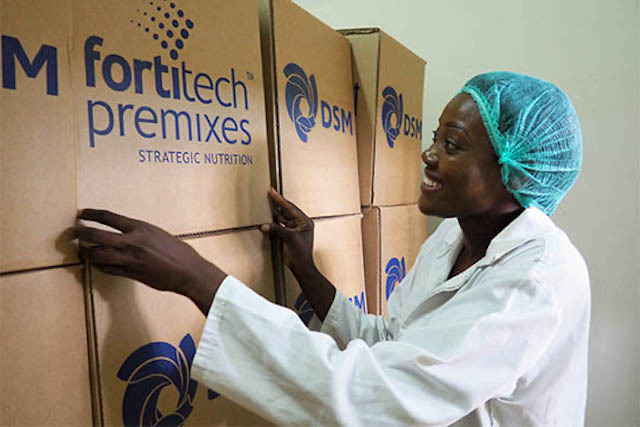 In 2017 TechnoServe, with the support of the Ford Foundation, compiled learnings from TechnoServe’s work supporting The Coca-Cola Company, The Kellogg Company, SABMiller/ AB InBev, and Syngenta to build inclusive business models that engage smallholder producers. Read the complete case studies here. 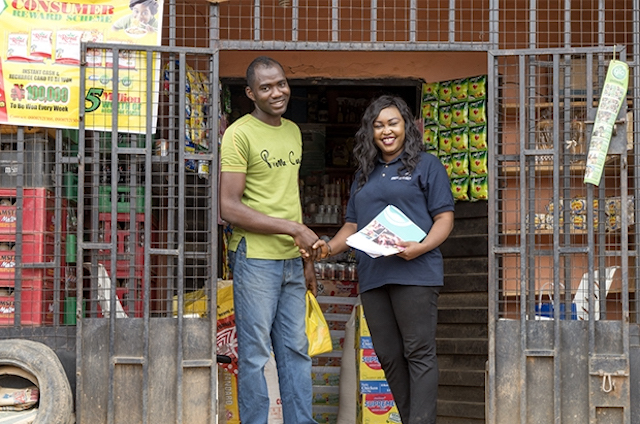 In the informal settlements of Nairobi, TechnoServe partnered with the Mastercard Foundation and Unilever to increase the business practices and profitability of dukas – small shops that are vital suppliers of goods and services to these often-vulnerable communities. The program will provide 4,300 micro-retailers with business training and will test digital platforms that increase access to credit. An external evaluation by IPE Triple Line – with funding from the Goldsmith Foundation – found that 5 years after closing, TechnnoServe’s Coffee Initiative to improve the livelihoods of coffee farmers in Rwanda and Ethiopia is still having a positive impact. Take a look at the numbers here. TechnoServe and Emory University collaborated to generate a report leveraging detailed data collected from more than 400 companies that participated in TechnoServe’s Impulsa tu Empresa program in El Salvador, Guatemala, Honduras, and Nicaragua from 2014 to 2016. The diverse sample of entrepreneurs analyzed by the report shows that carefully designed accelerator programs can, on average, facilitate revenue growth. Read more about the study’s findings and lessons learned, and their implications for accelerator programs in economic development. A 2017 report published by TechnoServe’s Coalition for Smallholder Sourcing ran a randomized control trial to evaluate Gulu Agricultural Development Company’s low-risk, cost-effective solution to encourage farmers’ use of certified seeds. Their findings provided interesting data on strategies to increase women’s investment in improved inputs. TechnoServe’s Business Women Connect (BWC) is also playing a key role in a randomized control trial being conducted by the World Bank. The trial aims to test and learn from the effectiveness of BWC’s strategies for improving the economic empowerment of female micro-business owners using mobile savings technology. Read more about the preliminary findings here. 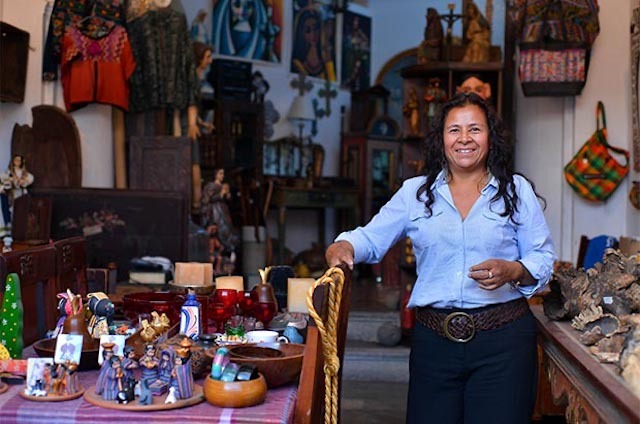 In order to amplify the Impulsa tu Empresa (ITE) program’s impact for entrepreneurs in Central America, TechnoServe and the Argidius Foundation launched another three years of the initiative in Guatemala, Honduras, and Nicaragua. ITE has already supported over 1,000 businesses, whose revenue growth has created 1,400 new jobs for their developing economies. ITE 2.0 aims to create an additional $41 million in increased revenue and wages for these key small businesses across the region. After six years supporting the development of Zimbabwe’s agro-processing and agribusiness sectors, the TechnoServe wrapped up the Agro Initiative Zimbabwe (AIZ). With support from the U.K.’s Department for International Development (DFID), AIZ generated nearly $10 million in financial benefits for project participants. 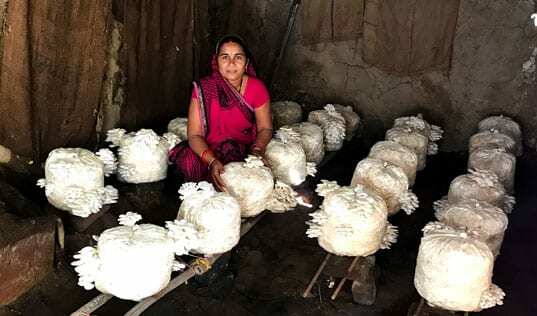 Read the story of a woman agripreneur who created a mushroom company through AIZ with the goal of incorporating more farming women into her supply chain. In Benin TechnoServe’s entrepreneurship teams completed their Business Plan Competition, funded by the World Bank and working in conjunction with the government of Benin. Through TechnoServe’s support to their businesses, these entrepreneurs have created nearly 400 new jobs for Benin’s workforce. As this initiative comes to an end, TechnoServe Benin is building on its success through the launch of BeniBiz, a new 5-year business acceleration program that aims to support 2,500 youth entrepreneurs for a brighter economic future in Benin. The Solutions for African Food Enterprises (SAFE) program – a partnership between TechnoServe, Partners in Food Solutions, and the U.S. Agency for International Development (USAID) – came to a close after working for five years to increase the competitiveness of the food processing sectors in Ethiopia, Kenya, Zambia, Malawi and Tanzania. SAFE benefited more than 1,000 food processors, who source from more than 973,000 smallholder farmers. 2017 also saw the launch of the Strengthening African Processors of Fortified Foods (SAPFF) project, which looks to expand the power of the private sector to fight malnutrition and food insecurity. A collaboration with Partners in Food Solutions (PFS), the Global Alliance for Improved Nutrition (GAIN), and funded by the Bill and Melinda Gates Foundation, this initiative works with food companies in Nigeria, Kenya, and Tanzania to improve their capacity to produce and sell fortified foods for local markets. Read an op-ed by TechnoServe’s Vice President of Program Development Kindra Halvorson. Kindra explains how strong food processing businesses are key to improving Africa's agricultural sector, with the potential to increase the incomes of local farmers, create formal jobs, and increase the availability of affordable, safe, and nutritious food for the region’s consumers. 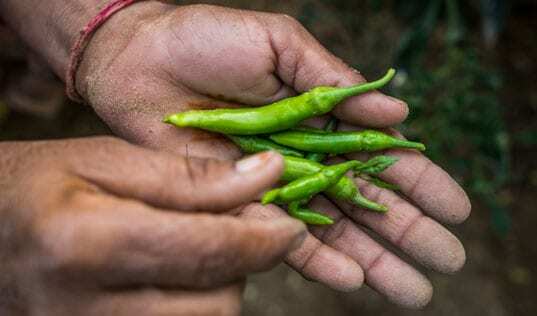 TechnoServe’s Technical Assistance Facility TAF released a report documenting learning from its first five years of operations, exploring how technical assistance can boost investment in the agriculture sector to combat food insecurity. Launched in 2011 TAF works to increase economic and physical access to food for low-income Africans by providing strategic support to companies in the Africa Agriculture Fund’s Investment portfolio. To date, TAF has enabled the agribusinesses it supports to reach more than 16,000 low-income beneficiaries. These accomplishments – and many others – are only possible thanks to the generosity and commitment of supporters like you. Thank you for your support and help us create an even bigger impact in 2018.